Tre-Fin is a small commercial fishing operation based in Ilwaco, Washington. Our fishers bring line-caught Day Boat Tuna from Oregon and Washington waters back to port within 24-hours to preserve its true quality. We are the only commercial fishery who can make this claim. We believe transparency and complete traceability, from boat to dock to your table, is why our albacore tuna is the best you’ll find. Each fish is handled individually, allowing us to control its journey, right up until we hand it off to you. We are unique in this respect. Sure, it’s a lot of work, but we know it’s the only way to ensure the incomparably high quality of our product. And we take a lot of pride in that. Tre-Fin is determined to shift seafood industry standards by proving the efficacy of their model: A clear path of origin, from the water to the table, allows consumers to experience a higher quality fish caught and processed responsibly. Through transparency and traceability, Tre-Fin and Day Boat Tuna are setting a new bar for albacore tuna fishing. 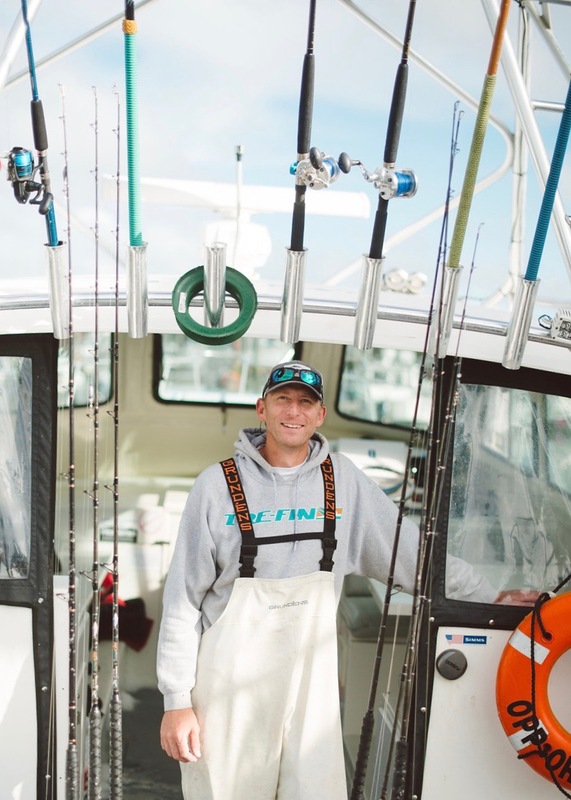 Tre-Fin’s captains (Aaron, Barrett and Mike), along with deckhand Craiger, are an incredible, hardworking team. But they don’t do it alone. Tre-Fin is proud to have created a co-op of like-minded local fishers and their boats--small, fast day boats outfitted to bring in the same superior quality albacore caught on the Opportunaty. Tre-Fin is gratified to work with and support these fishers, and to offer them a market (and price!) that reflects the quality of the fish they catch.